We celebrate the glory of womanhood everyday. But every year on the 8th March, we celebrate the International Women’s Day. 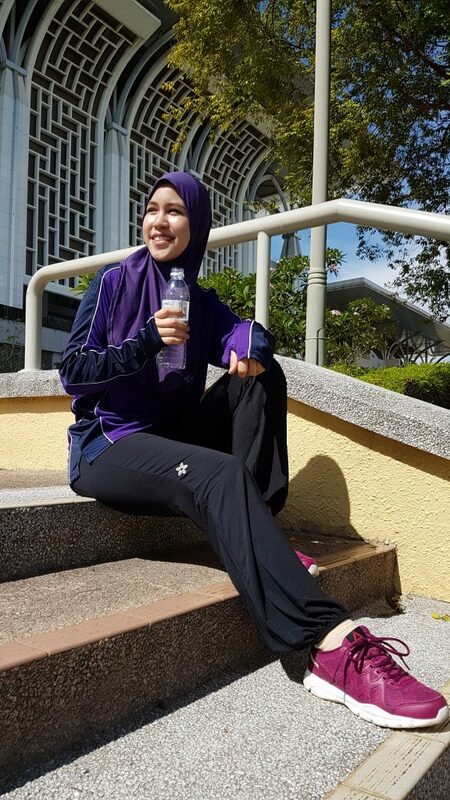 In Malaysia, we celebrate fitness for woman at the Malaysia Women Marathon on the 6th March 2016. There is also Penang Zumba Carnival 2016 happening a day earlier, 5th March 2016, at the Stadium Batu Kawan, Penang. At the store front, we are offering ultra products for fit ladies up to 50% discount. This includes the heather tops, mumtaz hijab and amin extended hijab. The special prices are valid from now until 13th March 2016. 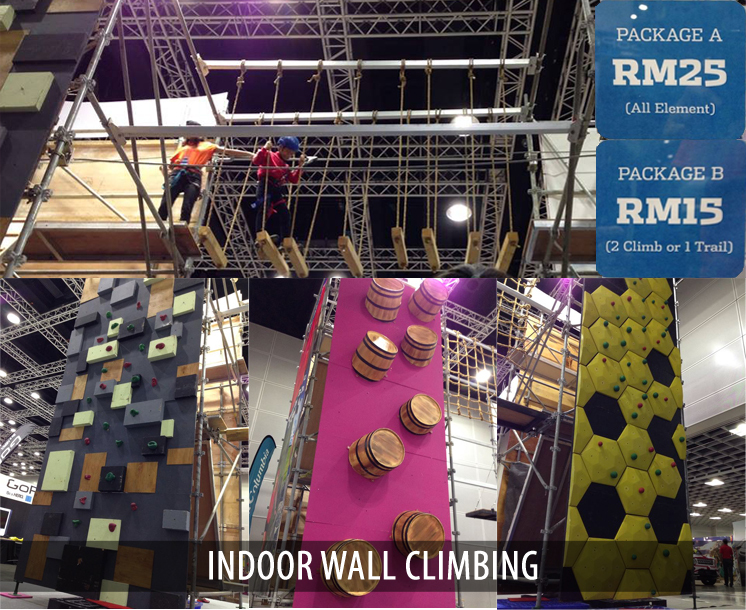 Also available at MWM Expo on the 4th & 5th March at Rimbayu. 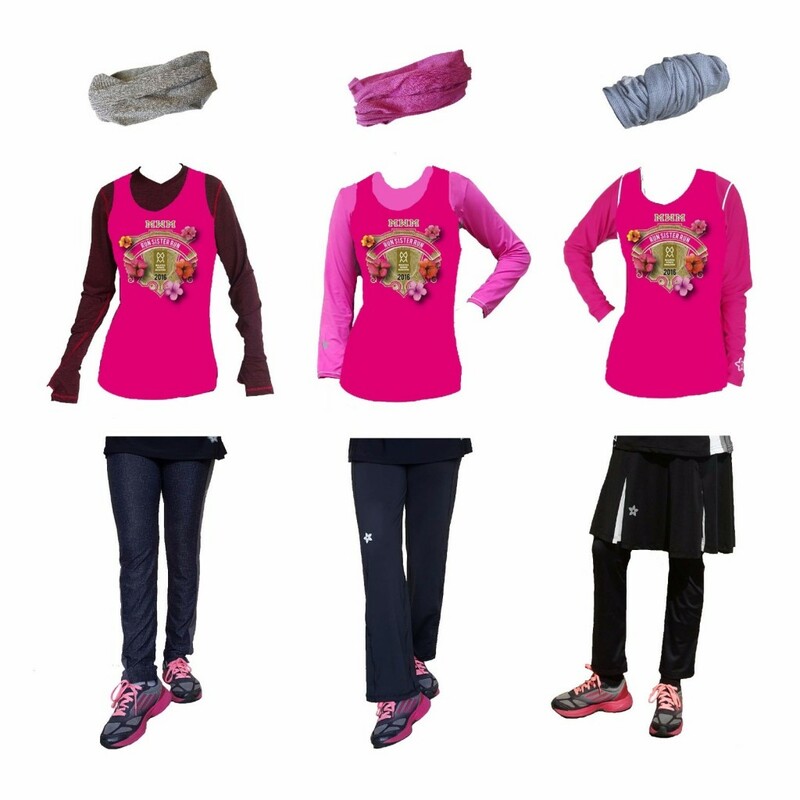 Here are some suggested tops that go well with the MWM running tee. This year we are sponsoring 8 runners from Malaysia & Singapore to run the Full Marathon (42 km) at MWM. These are ladies and pacer from various backgrounds and ages but with a common determination to run. Here are the reasons why running a full marathon is important to these awesome runners and how running has helped them in their career and daily life. I run full marathon to challenge myself. Besides building physical strength, I am also training my willpower and mental limits to prove to myself that sometimes it’s just mind over matter. My personal goal at MWM is to finish within the cut off time. Running has helped me in my career by improving how I prioritize and manage time. I learn what is really important to me and I build a schedule to achieve my goals. 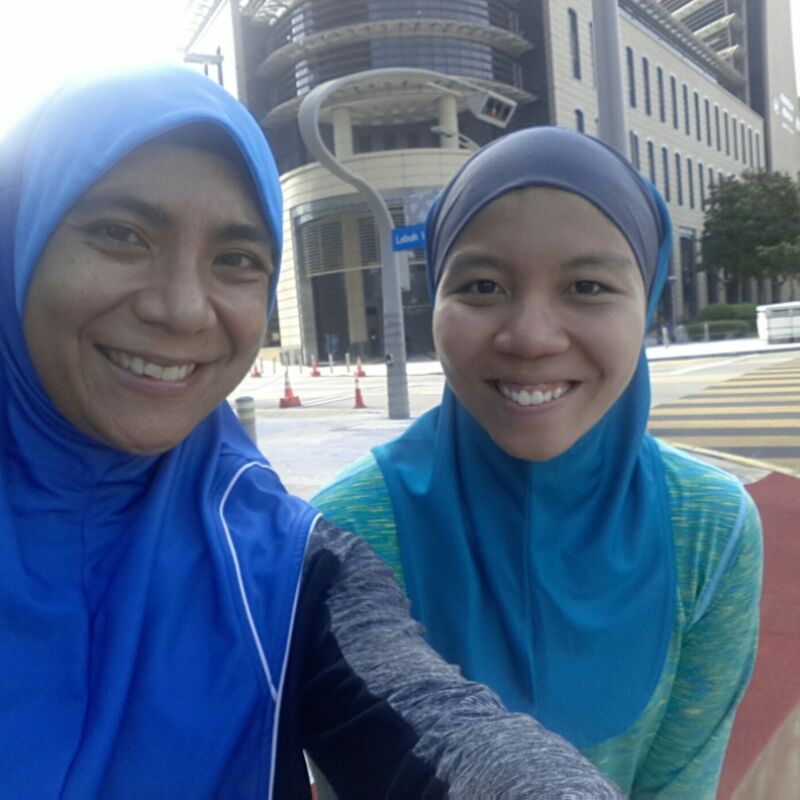 The corporate world and running scene in Malaysia are not very big and these 2 fields tend to overlap so it’s helpful to have the same interest. I love to challenge myself and push myself out of my comfort zone. To train for a Full Marathon (FM) is not an easy task; it takes sacrifice, determination and physical and mental strength. Becoming a marathoner has been one of my most proudest moment, aside from being a wife and a mom. My goal at MWM is to achieve a Personal Best (PB) would be great but seeing how this will be my first FM running with my husband, the main goal would be for both of us to complete the run with no injuries and have fun while doing so. Running has given me a sense of balance. When everything seems a little too much, I go out for a run and the problem/issues suddenly doesn’t seem so daunting. I only wish I had discovered the joys of running when I was still working; maybe I wouldn’t have been so stressed all the time. But better late than never! I love running simply because I love being challenged. When you run 42km with your own time limit, actually you are challenge yourself to do things beyond your limits and it gives you a sense of achievement and satisfaction when you achieve it. This has always teaches me to not give up in every single thing I do and to always believe in myself. Nothing is impossible. The one that can limit you is YOU. Running FM for 5 to 6 hours is not easy and harder in hot sun..but, what that I learn along the journey is worth the heat. I enjoy running long hours while being entertained with favourite songs ; it cheers me up in bucket of sweats. MWM is such a great event as it is conducted with much convenience for ladies who want to participate in running events. I would like to complete my run below 5 hours at upcoming MWM. 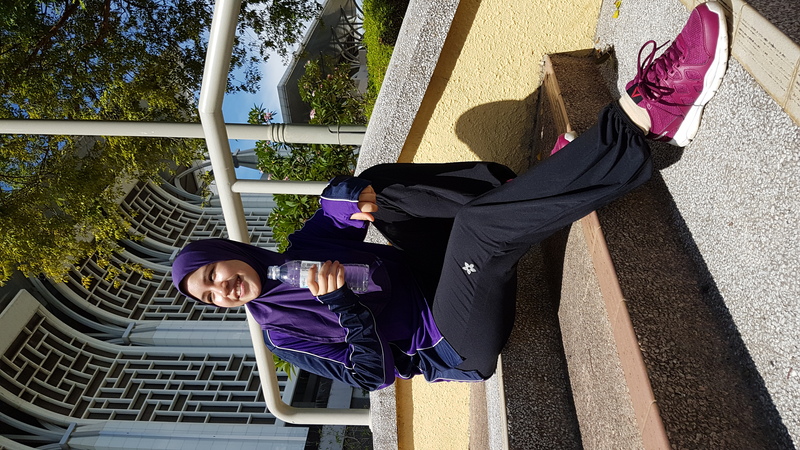 Other than that I would like to be a good example to hijabist ladies, that running modestly will never affect your performance..yup, never. Running never fails to release all those stresses I have to deal with in my hectic life as a med student. I feel much better after a run. It has helped me to be more confident, positive in many aspects of life and it has widen my network. Running always teaches me to be myself, to be me and stay me. I urge other ladies to set your goals, lace up your shoes, smile proudly to yourself and start running! Because..it does change you in positive way. Nashata will be at the MWM Expo 4-5th March. Come look for us at Rimbayu. At 2:15pm, 4th March we are having a 30 mins Fashion Tips specially for Sports Fashionista at the MWM Expo. 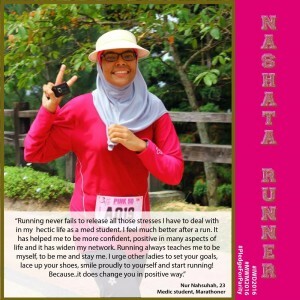 We will share about how to dress comfortably yet flattering enough for you to run marathon confidently. Other than that we will be sharing some tips on how to pose and look good for photoshoots while running. 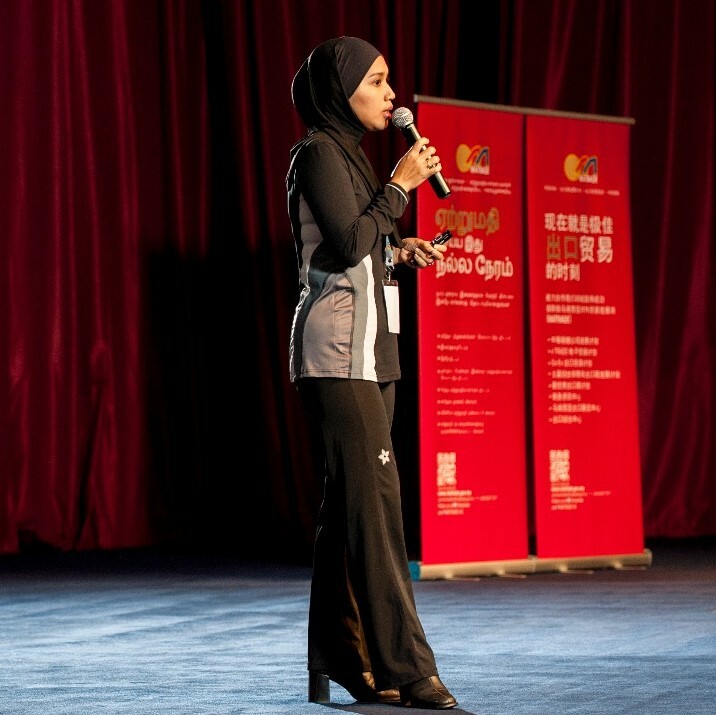 Intan Suraya who will be running at the MWM always look good in front of the camera. Find out how she does it! Happy International Women’s Day girls! Awesome SCORE 2014 @ KLCC! We are back again for a 2nd time! Fuihhh~ Selepas 3 hari berturut-turut kami berada di Kuala Lumpur Convention Centre (KLCC) dari 30 Mei – 1 Jun 2014, banyak aktiviti-aktiviti yang menyeronokkan di dalam hall yang besar itu. Kami ada booth dan membuat diskaun istimewa khas untuk pengunjung-pengunjung yang menyerbu sepanjang event tersebut berlangsung. Alhamdulillah sambutan amat menggalakkan dari semua pihak tidak kira dari event organiser, rakan-rakan exhibitor yang lain dan para pengunjung yang banyak memberikan sokongan kepada kami. TERIMA KASIH kepada anda semua! 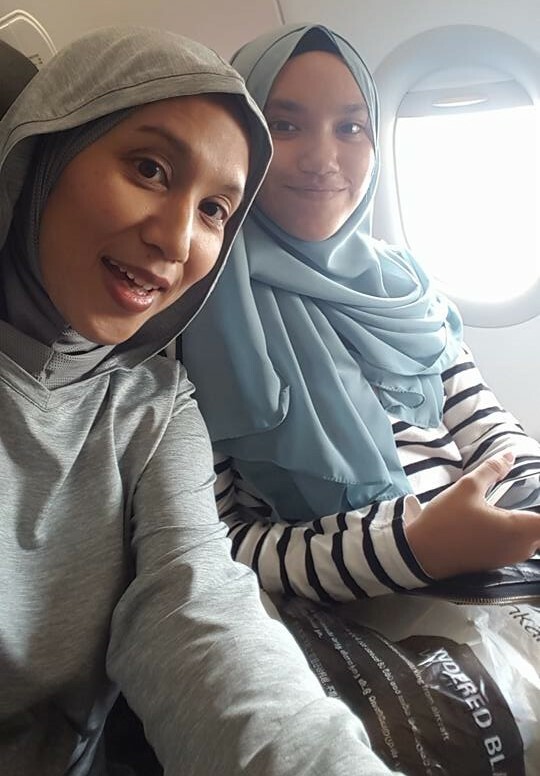 Adik-adik dan kanak-kanak juga ramai menyukai tudung saiz kecil kami. Adik-adik juga nak bergaya seperti ibu mereka. Gambar-gambar diatas adalah antara pelanggan-pelanggan kami yang datang menjenguk ke booth Nashata. 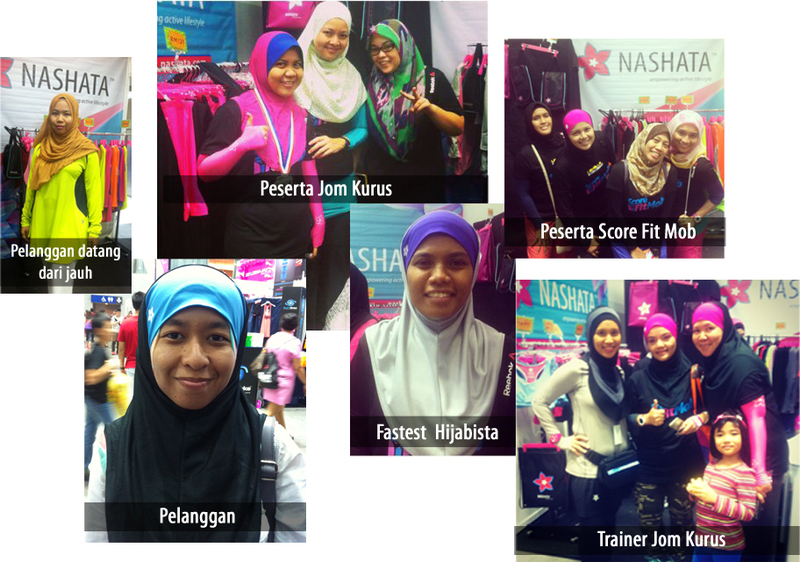 Ramai pelanggan-pelanggan kami yang berkunjung di booth terdiri dari perserta Score Fit Mob sendiri. 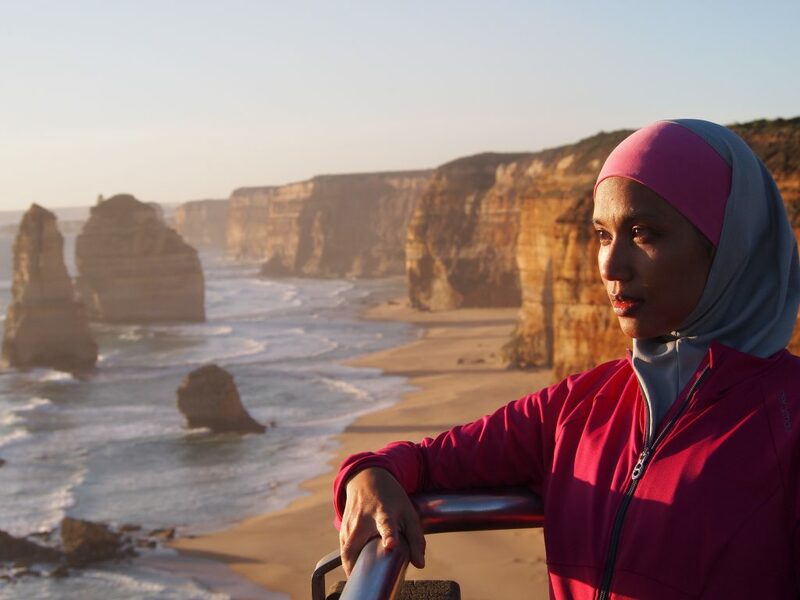 Hijabista di Fit Mob sememangnya hebat dan bergaya! Mereka banyak membeli tudung berwarna pink, turqouise dan hitam headband untuk dipadankan dengan baju t-shirt yang di beri dalam ‘race kit’. Mereka semua nampak bergaya dan BERTENAGA mengenakan pakaian sukan Nashata kami dan mereka semua sangat peramah dan sporting. Kalau nak catitkan orang-orang yang sangat penting kepada kami memangla panjang, tetapi kami amatlah terharu dikunjungi oleh Karen Loh, Stewart, Max Lim, Trainer JomKurus seperti Eda Fatimawati, Ridzwan, Wan Khaizuri dan Wawa, Azreen, Najmi, Azlina dan tidak lupa juga Hijabista-hijabista yang lain Pantas Berlari. Kepuasan anda adalah keutamaan kami. Harap kita dapat berjumpa lagi di event-event lain yang akan datang. “Men of Steel” adalah pertandingan bina badan yang berlangsung selama 2 hari iaitu 30 Mei (Jumaat) & 1 Jun (Ahad). OPPS! Maaf, kami tidak dapat memaparkan gambar untuk acara ini kerana terlalu ‘cencored’. Pertandingan ini juga ada terbuka untuk kategori perempuan. Kagum bukan?! Badannya sememangnya sangat taf. 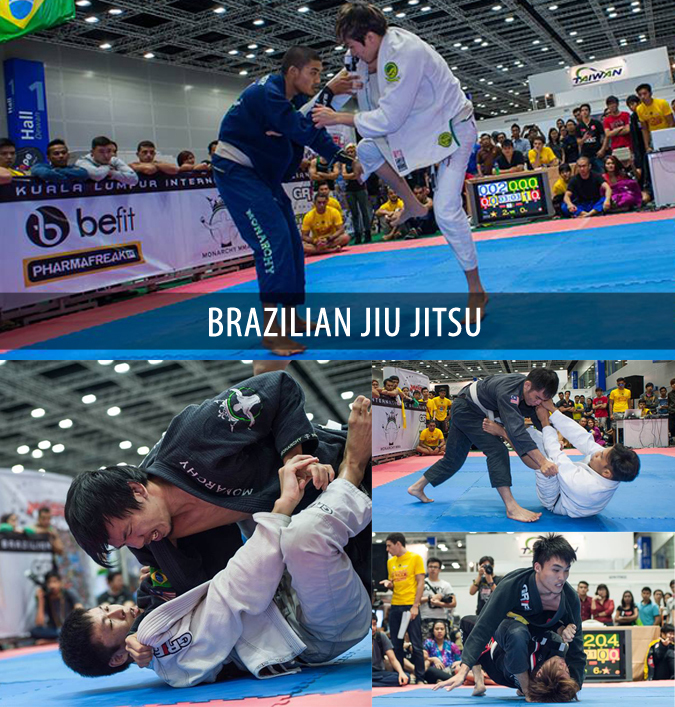 Brazilian Jiu Jitsu.. Ha.. nama yang sungguh pelik tapi sebenarnya ia juga termasuk dalam kategori sukan. Anda penah dengar sukan sumo bukan? Permainannya lebih kurang sama dengan sumo tetapi bukan di kira siapa terkeluar dari gelanggang tapi di kira siapa yang dapat pertahankan diri lebih lama. Sukan ini agak lasak tapi perempuan juga ada menyertai pertandingan ini. 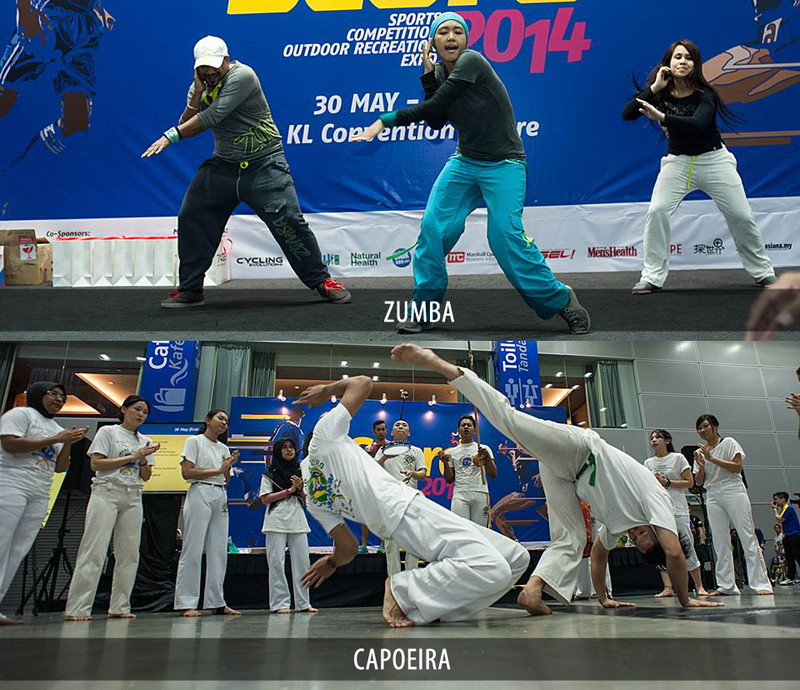 Sukan Zumba dan Capoeira adalah sukan yang menyeronokkan. Kedua-dua jenis sukan ini dilakukan seiring dengan lagu yang di mainkan. Zumba selalunya di lakukan secara beramai-ramai dengan mengikut pelatih penari di hadapan. Capoiera pula seakan-akan silat tetap di lakukan dengan gerakan perlahan tanpa ada sebarang sentuhan sesama pasangan. Larian SCORE RUN 2014 ini akan diadakan pada 8 Jun 2014 (Ahad). Pada mereka yang mengikut serta, GOOD LUCK pada anda semua! Kita jumpa anda lagi di sana. 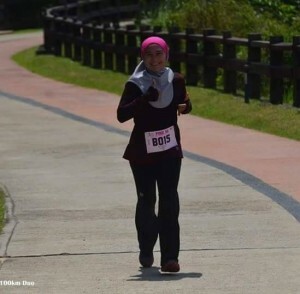 Siapa pulak fastest HIJABISTA di SCORERUN? Amin Hijab is so light that you don’t feel like having a hijab on. Yes, that is how light the sports hijab is. 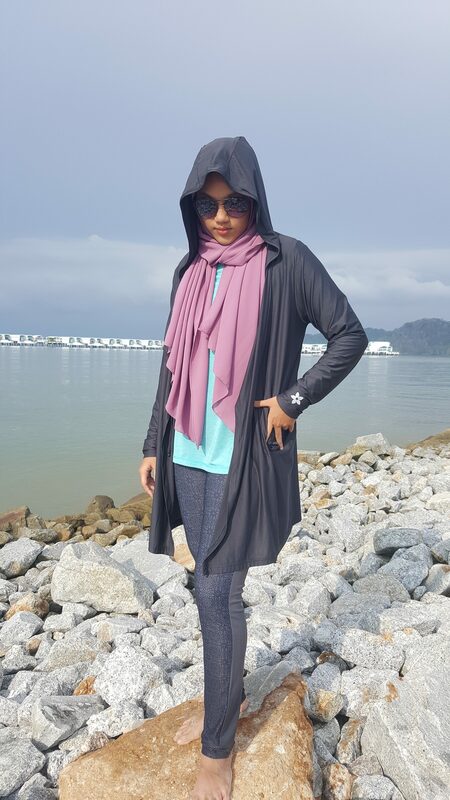 It fits like a glove and is specially designed to give you comfort while performing outdoor and indoor activities. 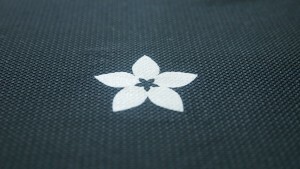 Made of completely breathable fabric, it is good for running, trailing, cycling and any outdoor and indoor activities. 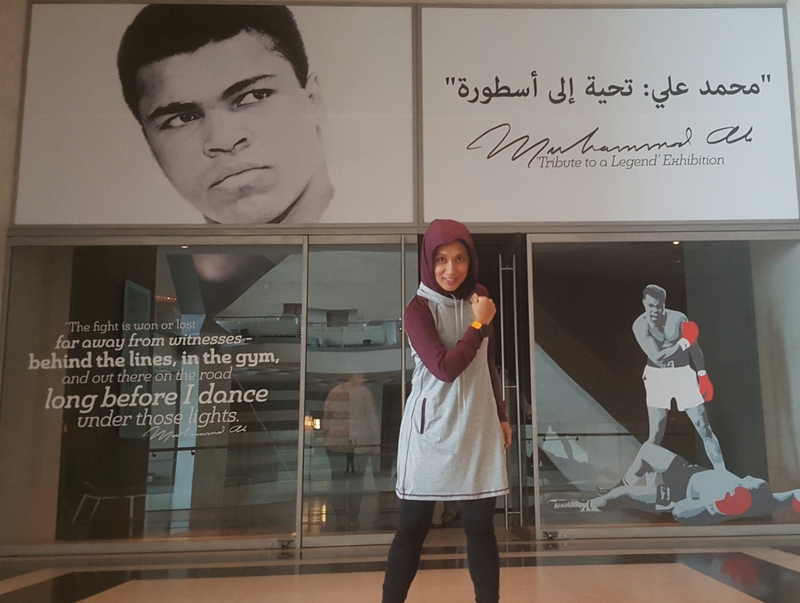 Amin hijab can take the heat and would keep you miles ahead! What are the key features of the product? 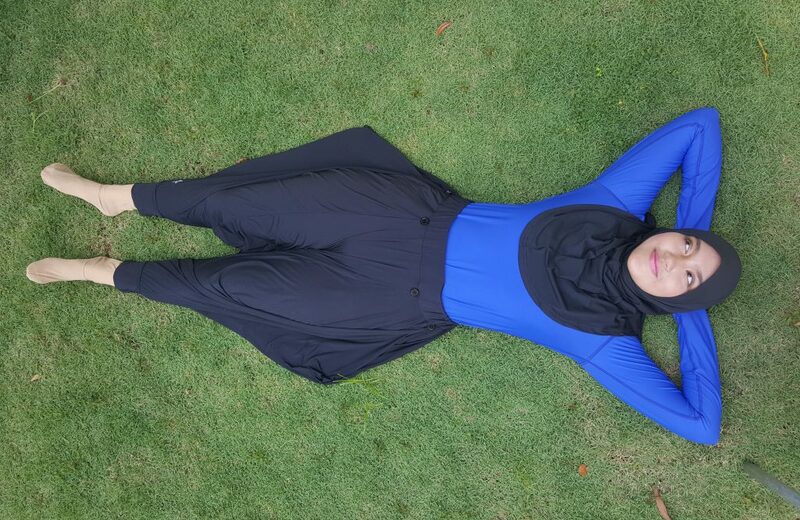 Modest yet Sporty is the look you are going to get from Amin Hijab! The stripe along the face is to enhance unique features of Asian women. The stripe meets at chest to give slimming effect on your body. 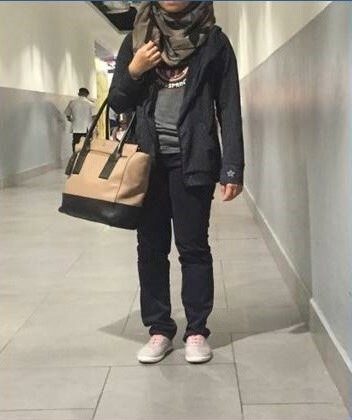 The hijab gives good chest covering as the front length is 41 cm long and 28 cm wide. 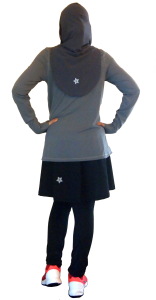 The design falls nicely on your shoulder, giving free movement for arms and hands without compromising modestly. We offer a choice of black base with a dark grey stripe and dark grey with a black stripe. We recommended the lighter color for outdoor use like marathon, running, cycling and trailing and black for indoor activities like aerobics and zumba. Although the material dries fast, sweat marks on the grey base hijab can be evident. 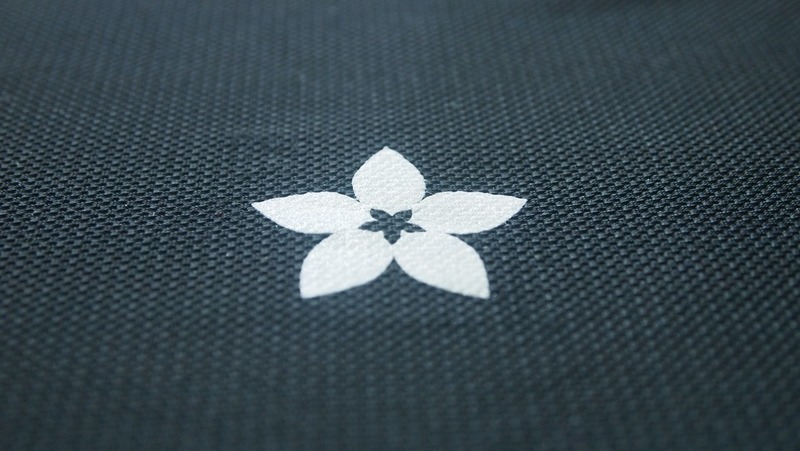 Made of lightweight spandex and nylon, the fabric is highly stretchable and breathable. We recommend hand wash for all our products. To protect the reflective logo, we suggest you to wash the hijab inside out. You can fold or roll it and keep it in your bag. Get one now as we are offering introductory price of RM89 until 1 June 2014. The retail price is RM99. 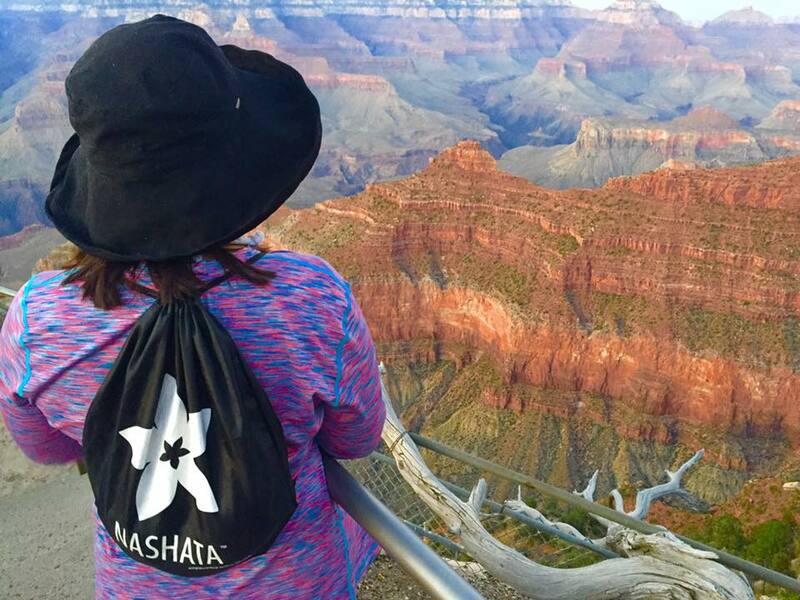 Head on to nashata.com NOW!